Yes please, and instructions with pretty pics and/or videos. An example would be awesome @DotNetDann! OK I have put up the project. Contribute to DotNetDann/ESP-MQTT-DoorbellNotifier development by creating an account on GitHub. So these chinese doorbells don’t send their image out to the cloud? Dunno, which one would be best? I found this yesterday which say it allows RTSP (in the Q&A at the bottom) so that could be used to get the video into HA. You could always block the device from sending anything out of your network. It’s not a doorbell but could be used as the video side of things and then use another device for the button. It has 2-way audio but I’m not sure how best to integrate that into HA yet. I don’t think HA has that ability for now. Only US$39.99, shop new upgrade support onvif digoo dg-ufc h.265 strengthen lens 1080p fhd 2.8mm 180 degree wireless night vision smart home wifi ip camera security monitor at Banggood.com. Buy fashion home security cameras online. My setup. 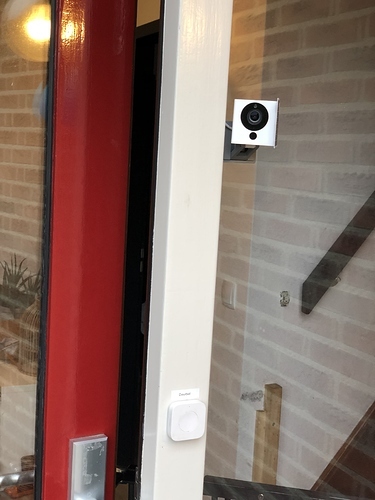 Xiaomi cam with custom firmware and a xiaomi zigbee push button. The cam is 24/7 recording on my home server. When the push button is pushed a couple of esp8266 with piezo buzzers beep. A snapshot of the image is then send to telegram. It has cost me about 20 euros. The cam is powered trough a small usb cable. I’m still yet to see a setup that brings 2-way audio into HA… As far as I know this isn’t yet possible, not even 1-way audio from the camera, but from what I’ve read on the Zoneminder forum they are hoping to have audio in the next release. I wonder if we can get that audio into HA once it happens? Batteries or need wire? That’s the feature I like from ring. The battery lasts months and I don’t have a good way to get power to the door. This looks like a really good, connectable model. How’s the app? And I’m guessing it “phones home” to some server somewhere in China, right? The app is not so good. It is called iCam and you can read few reviews here https://play.google.com/store/apps/details?id=com.ssg.icam&hl=en_US . Connection between the app and the doorbell is stable when both app and the doorbell are in the same Wi-Fi network. When I’m using the app via LTE then I have a problems with connection timeouts and when I finally connect the connection is not stable. I assume that some Chinese server is used to maintain the connection when I’m outside my Wi-Fi network and that is why I have those problems with connection quality. That’s a pity. And the image quality using ONVIF? I am mostly interested in taking a snapshot from HA, although some sort of live preview would also be good. I wonder if for example this one that uses Tuya would be compatible with the Tuya component in Home Assistant? Although I believe the component do not support cameras. Night vision is also working correctly. 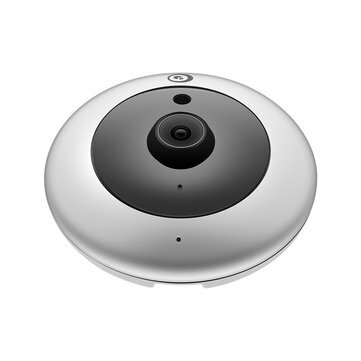 A cloud free video doorbell is my current quest and I’ve been trawling for solutions. I hope to get some feedback and ideas. To keeps costs to a minimum an off the shelf solution is out of the picture. My doorbell is connected with telephone wire back to a cupboard, with power near the chime so i have 2 unused wires going to the doorbell button ideal for sending 5v. I think I can work out how to make the doorbell press send an MQTT msg while still sounding the chime, using a sonoff or D1mini & tasmota, pull down resistor etc. I have looked at WiFi development boards like ESP32-CAM, WiFi security camera’s with talk back but all the solution I have found seem over complicated and cumbersome, involving getting an alert then opening another app to initiating a connection to the WiFi security camera, uploading stills or video to a web server etc. It occurred to me that using an old Android phone and Tasker might be the easiest way to get this working. Mount the phone is a project box (in porch so no need for weather proofing), hide all buttons and disable touch screen. Have doorbell send an MQTT msg to phone to initiate a skype call to my account. Or possibly lock down touch screen to only display a virtual button that only initiates a skype call to me. I would them use HA to switch on the porch light and unlock door to allow entry. Has this been done before? Not sure about the risks in using an android device conencted to my WiFi. So couple of questions. I’m confused a little but by your wiring configuration. Do you have normal doorbell right now, powered by a transformer and using a normal doorbell chime? Are you in the US, europe, elsewhere? May not matter, but I’m the US and sometimes make suggestions, to be told well, that wont work in my country. Here is my bigger question. How much of a cost are you looking to spend using non off the shelf solutions? Are you doing this with non off the shelf to really save money, or is it more of the challenge and thrill of figuring it out yourself. Because if it is really about the money, and you have a normal doorbell hookup, I’d look at one of the 1080p hikvision (or rebranded, laview, RCA, etc) doorbell cameras. I’ve seen them under $50 a few times. I wont say they are the absolute best camera around, for $50, you get a camera that does not require cloud, has an iphone/android app, allows two way communication. can start that chat within a couple of seconds, etc. I have one and have had it for 18 months, it provides an OVNIF stream, is hooked up to my NVR to record 24x7, but does not have to be hooked up to record video. It integrates into HA pretty well. There are a few issues, that I hope get worked out sometime soon, but I’ve found ways around them. The motion sensor shows up in HA, but does not report motion. The new stream component seems to have issues with it, but I can do a rtsp stream just fine on VLC, so I suspect it will be fixed in the future. There are some people who have had issues with these cameras, usually related to poor wifi signal strength, but mine has been solid. I would not pay $100 for it today, but would buy it all day long at $50. I just cannot see someone building something home made, that is weather proof, etc for that price. Firstly many thanks for taking the time to reply to my post, I’ll try to clarify. I’m in the UK, I don’t like spending money so trying to use what I have rather than buying an off the shelf solution, and yes I enjoy tinkering so want to make something that matches my needs/desires as closely as possible. My porch is covered so I don’t need to worry about weather proofing. At present I have a battery operated doorbell that runs on 6v. Usual Ding Dong chime that I like. My current plan is to use a D1mini & independent relay and wire the doorbell to a GPIO that will directly activate the relay that will in turn operate the doorbell chime. With the correct tasmota switchmode (need to work out which one, back to DrZzs youtube vid for this) the door press will work exactly as before; long, short, multiple presses all sound as before so I can guess who is at the door, kids, postman etc all have their own style. Tasmota will then send an MQTT msg to HA. If I am at home then I will view who is at the door with the ip webcam in the porch or just go and open it! When I am not at home, that is the challenge. I want to see and speak to the person at the door within seconds of them pressing the door bell. That is the Holy Grail of this project. Not a shrubbery! I’m dubious about the reliability of web hooks and other ways of alerting me that the door bell has been pressed so I am investigating making tasker initiate a skype call. My mobile will ring and if I’m at my computer then Skype will pop up fairly instantly. Job done??? I have an old Samsung Galaxy S3 that can be sacrificed. I plan to build it into a project box and mount it above the doorbell. I can get power to it easily enough. All buttons will be out of reach with a cutout for the screen and holes made for the front facing cam and sensors. I don’t want it to look like a phone in a box. So far I have succeeded in making a tasker task to initiate a video call on the S3 using Tasker Intents. Next job is to install an MQTT plugin and integrate with HA. I’m waiting for bits to arrive from Banggood but cost so far is D1mini & Relay £4, WIFI 1080P ONVIF IP Camera from Banggood £15. Old Phone £0. Tasker £3. Total: £22. That’s it so far. Hope that makes it clearer. Thanks again for your feedback. With your IP cam solution, what are the steps and dependencies that make your solution work? How are you alerted when away from home and how does the experience for you and the doorbell presser compare that that of a Skype call? Do you really need an ip webcam and the phone? The phone has a camera.